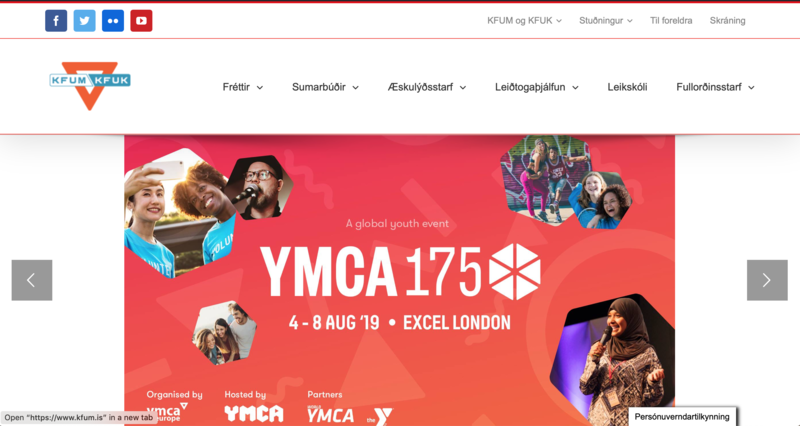 I am working with KFUM og KFUK á Íslandi (e. YMCA/YWCA in Iceland). This is an ongoing project, which started with designing, and implementing a WordPress Multisite for the organization in Iceland. The project covers ten websites for different aspects of YMCA/YWCA, giving advice and assisting editors in adding posts and pages. Over the course of the year, the content of the websites is updated by almost 40 different editors. My task is to keep the process of editing and adding content as simple as possible, and when needed assist with keeping the content current. The website was published mid-year 2012. The main site can be accessed at www.kfum.is.